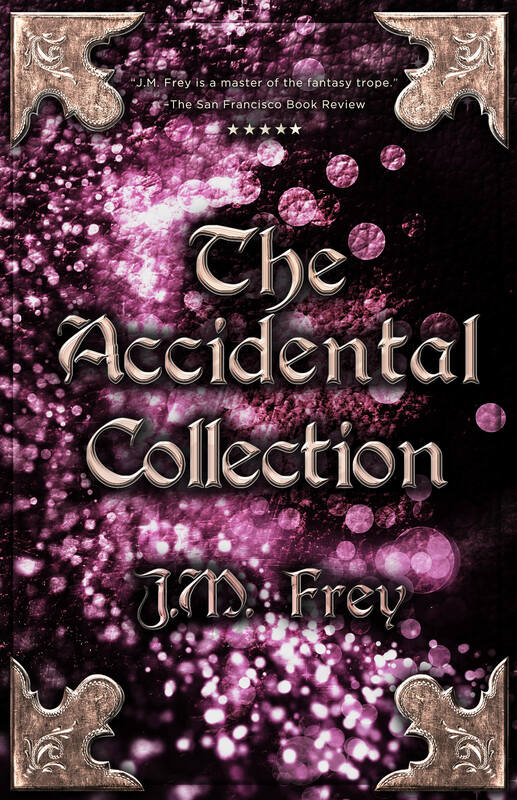 Did you miss the dual book launch for the reprint of “Triptych” and the debut of “The Accidental Collection”? Have no fear, we had a camera there! Filmed at Bakka Phoenix Book Store in Toronto, the event was recorded and edited by Eric Metzloff. Check out the videos of the readings, and select parts of the Q&A session below. There’s something STRANGE happening today! To celebrate, what better day to announce the creation of Fuse’s all-new Science Fiction, Fantasy, and Horror imprint than on Star Wars Day: MAY THE FOURTH BE WITH YOU! And to make the launch of Strange Fuse even more dynamite, Fuse is releasing four – yes, FOUR – titles today! Yes! That’s right! Triptych is back! It’s been a while, but my debut novel has returned to print, this time in an Author’s Cut edition, with a stunning all-new cover (thanks Rodney V. Smith & Adrienne Kress! 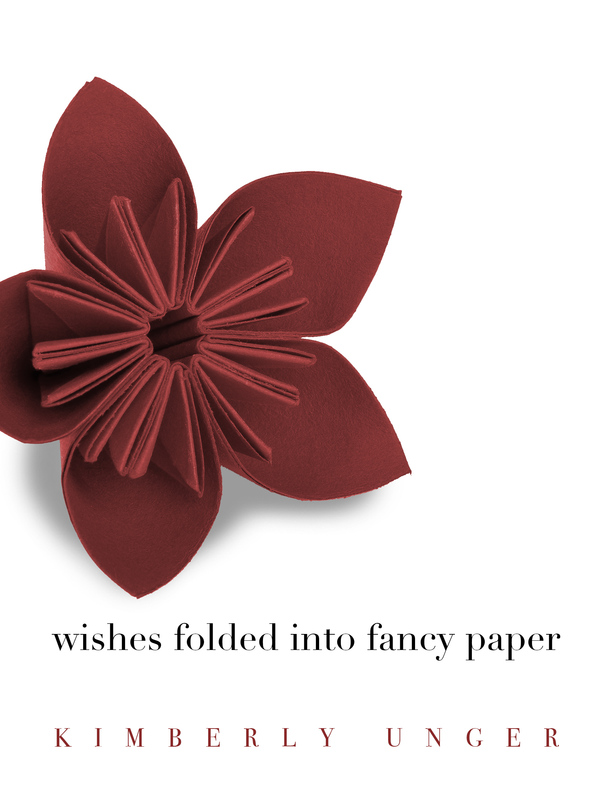 ), and with some new never-before-in-print material. You can pick up your copy of the book in eBook, Paperback and Hardcover. 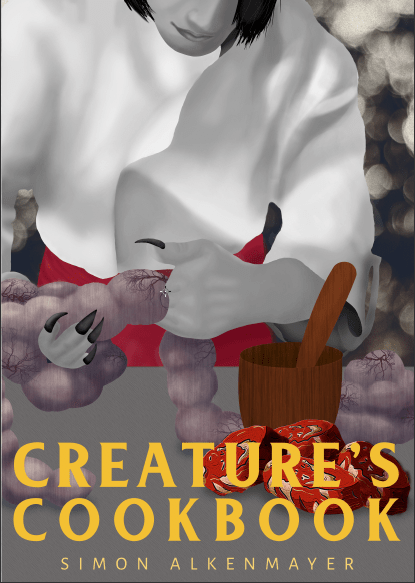 And one last announcement… I’ve made what is perhaps a foolish wager with creature and cook Simon Alkenmayer. So to help save my soul – or at least my bank account because I’ve promised to buy Simon some really top quality “Canadian Blood” a.k.a. genuine maple syrup if I lose, and that stuff ain’t cheap – please consider pick up a copy of Triptych in the next three months, and leave a review on Amazon/GoodReads/Your Blog/anywhere you can! May the Fourth Be with you all, and a very big welcome to STRANGE FUSE! See you all tomorrow afternoon at my Urban Book Club live AMA! I know I’ve said it before, but I didn’t really grow up in a family of readers. Mom is constantly reading books passed to her by relatives and neighbors, and she passes them on after that – mostly thrillers and dramas, though, not the sort of thing that interested me at an impressionable age. At no point that I recall did someone hand me a book and say “Here, I want to share this with you.” Aside from some minimal librarian guidance when women manning the school counters saw me gravitating to this or that genre, I mostly found my favorite reads and authors by devouring everything on a shelf or through online fan forums. It wasn’t until the after-school programing block on YTV introduced me to anime (Sailor Moon! Inu Yasha! Escaflowne! Gundam Wing! Dragonball Z!) that I ever heard of Le Guin, and that was only because in 2006 Ghibli Studios announced “Tales from Earthsea.” I was living in Japan at the time, and the English section of the local bookstore was quite slim. But they did have the Earthsea series in an omnibus volume, and I took that home and consumed it in a weekend to prepare for the release of the film. (I was disappointed, of course. I don’t know why Ghibli has a habit of taking a great story and turning it incomprehensible. They did the same to Howl’s Moving Castle, too, another series and author I discovered because they announced the adaptation). I can honestly tell you that the Earthsea books – aside from the multitude of Stargate: Atlantis fan fiction I was consuming at the time – was the only story to directly influence my debut novel Triptych. I began writing the original incarnation of the novel, a novella titled (Back), in January 2006, or thereabouts. Reading the Earthsea books made me think a lot about the standard Fantasy Narrative, Hero, & Land that I’d consumed via Piers Anthony and Anne Rice novels up until then. It was the first time I had been confronted by my own inherent racism – why was I surprised to realize that Ged wasn’t white? – and by the privileges I had enjoyed as a reader until now. It made me think a lot about what kinds of stories weren’t being told, by which kinds of characters, from which kinds of POVs. While I didn’t go as far as retroactively would have liked in making the cast and locations more diverse, or the discussions and displays of sexuality more complicated, I certainly would not have been thinking about these things at all were it not for Earthsea. Many people have compared Triptych to Stranger in a Strange Land, or Canticle for Leibowitz, or The Left Hand of Darkness. None of which I read before I wrote the book (the first two of which I still haven’t read since), for which I’m glad. Because I might not have dared to write Triptych if I had read The Left Hand of Darkness first. When Dr. Mike Perschon invited me to speak at the Grant MacEwan English Student Conference in February 2017 to speak in his English course “Topics in Race and Gender” – where he was teaching my sophomore novel The Untold Tale – he mentioned the names of some of the other books on the syllabus. And I realized that I was about to step in front of a classroom filled with people who were expecting me to know at least one of the other authors I was being taught alongside and panicked. I read it on the plane to Edmonton and whoa nelly was I glad I did. Those students were way more prepared for my weekend than I was. And again, I was so, so happy that I had not read Left Hand before Triptych, because there were choices that Le Guin had made in the novel that would have made me want to veer opposite in response. Because I would have wanted to explore the areas her narrative hadn’t. In being unaware, I got to explore some of the same fees, but in a different, parallel light. I always thought Ursula Le Guin would get a kick out of that. Though, of course, I don’t think my work was as thoughtful as hers, so I would have been terrified to even consider to put it into her hands. She was, by all accounts, the kind of woman to call out cowardice and shallowness when she saw it. And in reading Left Hand, she made me wish I had been a braver storyteller when I’d put Triptych on the page. Luckily, I had not yet finished edits on The Silenced Tale when I read Left Hand. And I think I did make the harder, bolder choices with that novel. And I know for a fact that I went back into some of my notes for future novels and changed up the ideas in there, too. Ursula K. Le Guin made me a stronger writer, not once, but twice. I wanted to one day thank her for that. This is the closest I’ll ever get, now. On the day Anne McCaffrey passed away, her son Todd emailed a group of people, me among them, and told us that the announcement was going to go out that day and to prepare ourselves. I’d only met Todd the once, when he decided to crash the launch party for Triptych, and he’d given me a beautiful blurb for my debut novel as a result. Todd barely knew me from Eve, but I appreciated the heads-up all the same. Because it gave me time to excuse myself from my dayjob desk and go have a private sob in the ladies’. I took an extralong lunch that day, and went to the book store, and purchased myself a copy of the very first Dragonriders of Pern book. I’d read McCaffrey before, but never the Pern books. I don’t know what I had been waiting for. I only knew that now was finally the time, to connect to McCaffrey through her most famous work by buy a book that I would never be able to get her to sign for me. In reading the novel I was reminded that she was one of the great founders of not only modern fantasy and science fiction, but one of the pantheon of women who I have nicknamed “Gran” in my head, because they were the ones whose work were a direct influence on my own, the way they have directly or indirectly influenced so many writers who have come after them. And now I’ve lost another of the great beloved women of my literary genesis and the dreams of my childhood heart. She was never mine, not really. Not in the way she was her family’s, or her publisher’s or her agents. But she was mine in my heart, in my imagination, in what she taught me as a feminist, as a storyteller, as a teacher. I looked to her and her work the way a child looks to their grandparent for advice, and a kind word, and good stories. I hoped one day to shake her hand. To maybe even call her Gran to her face, though I would have to explain why. To thank her. He’s the kind of self-important author who thinks that he’s cleverer than his readers, and that he can pull the wool over their eyes, instead of realizing that a reader and a writer are a team that tell the story together. See, he thinks we won’t notice. And this sort of meta storytelling gave me the opportunity to use his selfish magpieshness to fill the my books with my own tributes to my Grans. A pub that Bevel and Kintyre frequent is called The Pern. And the land in which they venture is called Hain. I so wanted to be able to share that little wink and nod with her. And the gratitude. She reached through her prose and made me braver – not just as a writer, but as a feminist, as an activist, as a bi woman with a disability, as a human over all. I’m sure I’m not the only one, too. Thanks, Gran. They’re all yours, in part. 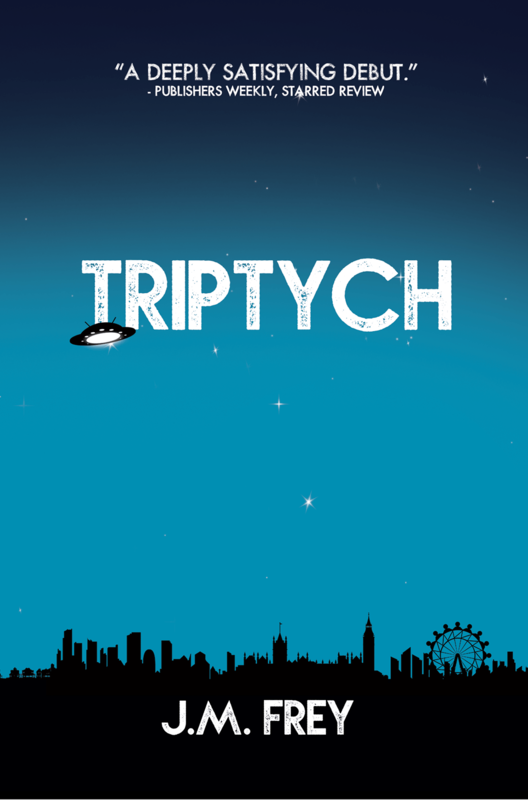 Back by popular demand, my award-winning debut science fiction novel Triptych is returning to Wattpad! Yay! 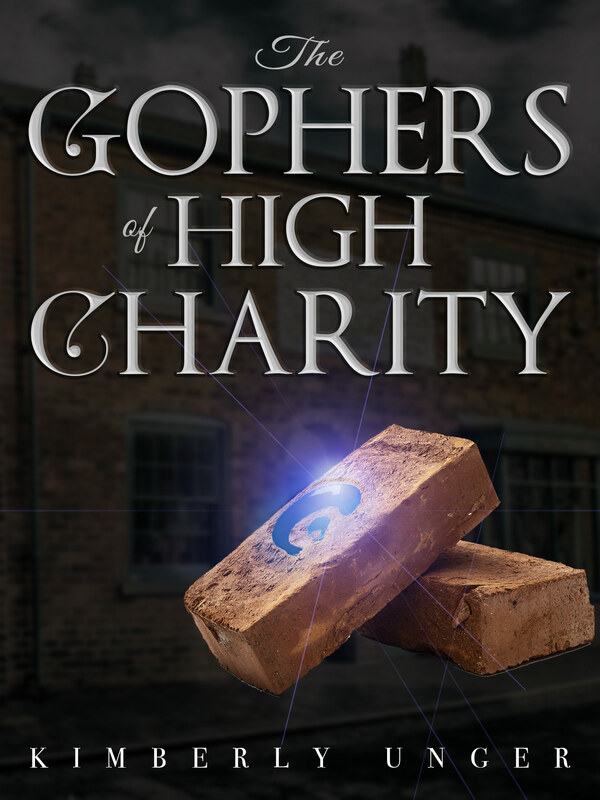 I will be posting a chapter every Tuesday afternoon, until the book is done. I will then be rereleasing the novel as a paperback in the new year, with a brand new cover and some never-before seen in-print extras. In the near future, humankind has mastered the arts of peace, tolerance, and acceptance. At least, that’s what we claim. But then they arrive. Aliens—the last of a dead race. Suffering culture shock of the worst kind, they must take refuge on a world they cannot understand; one which cannot comprehend the scope of their loss. Taciturn Gwen Pierson and super-geek Basil Grey are Specialists for the Institute—an organization set up to help alien integration into our societies. They take in Kalp, a widower who escaped his dying world with nothing but his own life and the unfinished toy he was making for a child that will never be born. But on the aliens’ world, family units come in threes, and when Kalp turns to them for comfort, they unintentionally, but happily, find themselves Kalp’s lovers. And then, aliens—and the Specialists who have been most accepting of them—start dying, picked off by assassins. The people of Earth, it seems, are not quite as tolerant as they proclaim.